This blog post is a very simple abstraction of some basic concepts that shape the economy. It is not meant to be a detailed and accurate walk of history of economic development. The point I would like to put across is simple. We have people with talent driving a major part of economy of today and this is significantly different from the past. Here is a lay person’s (my) thinking on what is meant by ‘driving an economy’ in the positive direction. Economy is driven basically by the creation of new jobs and the improved ability of human beings to produce and consume stuff that fundamentally addresses both needs and eventually wants, thereby adding value to quality of life. When an economy shrinks (a.k.a recession), people lose jobs and with that the ability to produce and consume - which is painful for a society. Secondly and more importantly, this new economy is nurturing talent that does not necessarily create new value - at least I have not understood it well. In a healthy economy, it is not enough to take actions that make money. Those actions must create value that is worth the dough. Not more than a few hundred years ago, those who had access to natural resources were driving the economy. These natural resources include (but not limited to) cultivatable land, farms, mines, oil fields and so on. People who were able to channelize the value offered by these natural resources for human consumption thrived. Then came the time of the bourgeoisie, a term used in the fields of political economy. These are people who had access to financial/human capital and were able to convert the same into produce that brought value to other humans. The industrial revolution (1750 - 1850) accelerated the elevation of the bourgeoisie as the economic ruling class. In some ways, the talent driven economy started emerging here. The heartburn here was that lions share of new wealth created by value generated went to intermediaries and not to those who performed the all hard work. In today’s economy, if you look at companies at the top of the ladder making economic impact and therefore gaining economic valuation, a spectrum emerges. At one end of the spectrum are the Googles, Apples and Amazons of the world. They contribute significantly to the spread of knowledge, raise of awareness and collaboration. They facilitate creation of new and innovative business models that cut waste and intermediaries. They improve user experience, reduce costs and drive efficiencies to a higher plane. By applying their superior thinking they deliver value by finding brand new ways of doing old stuff. They facilitate creation of new jobs and unprecedented capabilities and have succeeded in elevating economic activity to a higher orbit. At the other end of the spectrum are companies with financial knowhow which is used to play around with human psychology and market fluctuations. A segment of financial enterprises thrive on hedging risk and playing with basic human ignorance and the consequent greed and grief that drive decision making. The simplest example is the stock market where the game is a zero sum game. In a typical transaction, one person loses money and another person gains. Period. There is no economic value that gets generated in these transactions. There are companies who make it big by knowingly creating financial bubbles, playing with investor psychology and making money in the process for a priveleged set of human beings. Such talent is hired for a hefty fee - about 20 to 25% of the wealth generated this way. Remember the mortgage scams and ponzi schemes that got uncovered in recent years and companies behind them? By the way, these companies also create new jobs and contribute to economic development - in the short term. However, they also contribute to huge economic fluctuations (bubbles and recessions) in the economy to create instability and pain in the longer term. Interestingly, during the downturn, all the talent that created the trouble in the first place are still living comfortably leaving their victims to suffer. In the middle are a bunch of companies that (for example) do things like bottling flavored or ordinary water and brilliantly market them globally. They create humongous corporations. Some are very responsible and do things to replenish the natural resources they consume. Some are not. As the world’s economy raises and transforms, what is of concern is, a major part of the economic stack today is dominated by these new kind of companies that leverage superior knowledge and talent to achieve results. 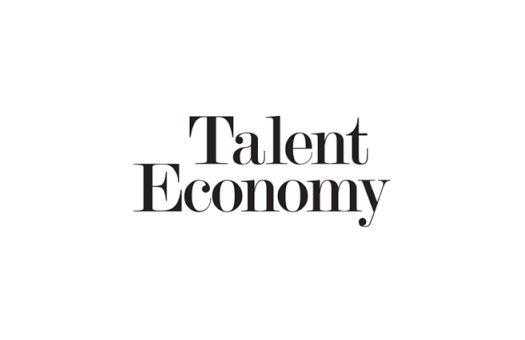 Hence today’s economy is called the talent economy. All that glitters in this economy is not gold. Leadershp that creates sustained value in a responsible manner thrives. We should think about it and shape our leadership journey. We are all responsible to leave a healthy future to our own kids.